The Evo barrier range is designed to create a solid and durable safety wall with no gaps between each individual barrier. 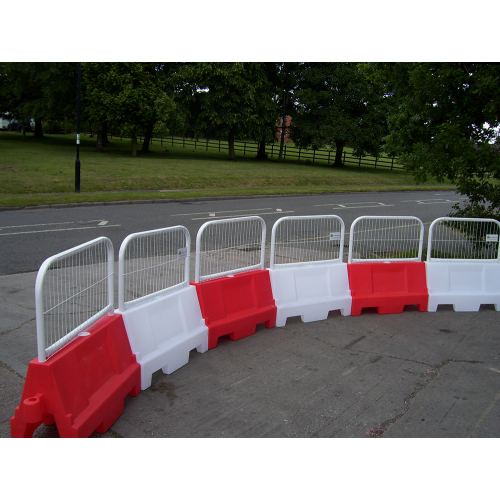 The barriers are ideal for traffic management to separate/redirect traffic, to protect pedestrians from moving vehicles, or to simply provide a high visible presence. 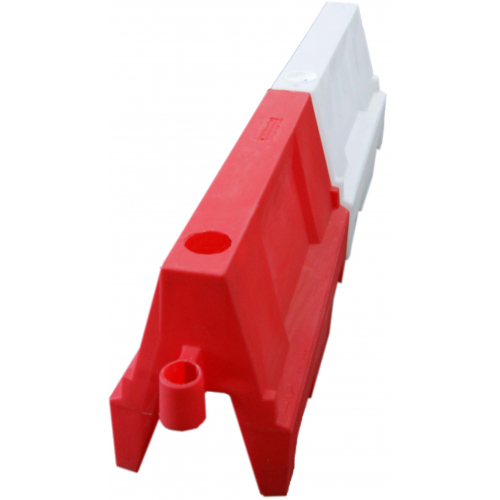 Each barrier is fully inter-lockable with the next; this creates the solid wall with no gap. Whilst interlocked they have the ability to be placed at angles that can create circles when multiple barriers are used. 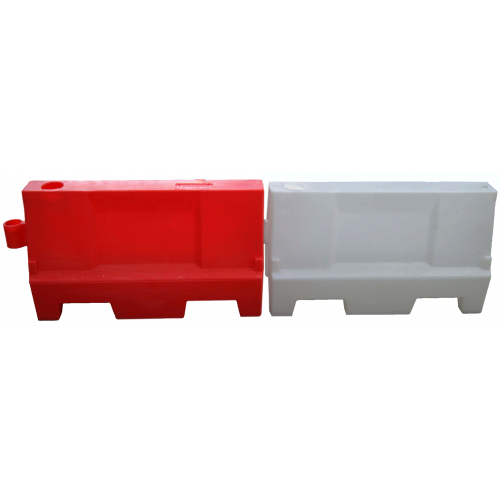 Barriers can also be filled with water or sand to ensure stability and minimal movement when in place. 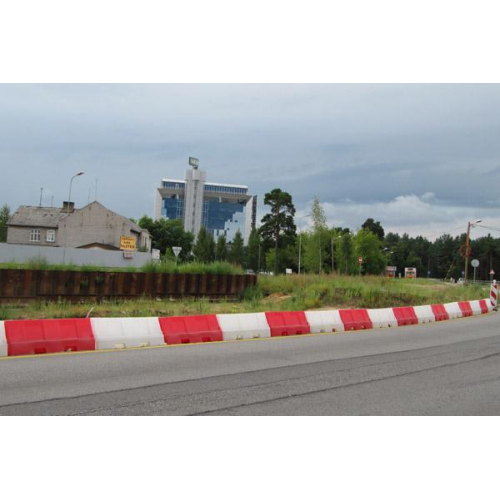 The barriers are manufactured from UV stabilised polyethylene, which creates a strong and durable barrier that is weather resistant and will not fade for many years. 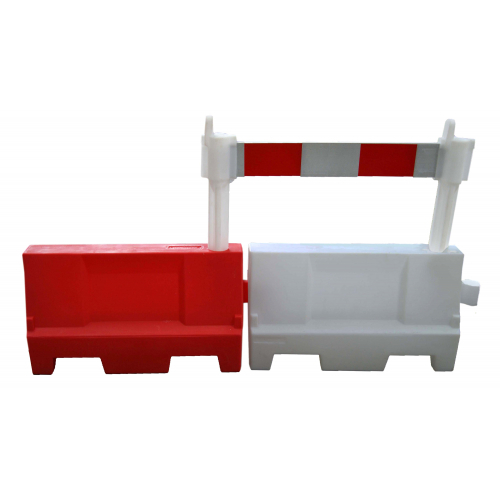 The barriers are also stackable within their design, meaning easy transportation and storage. 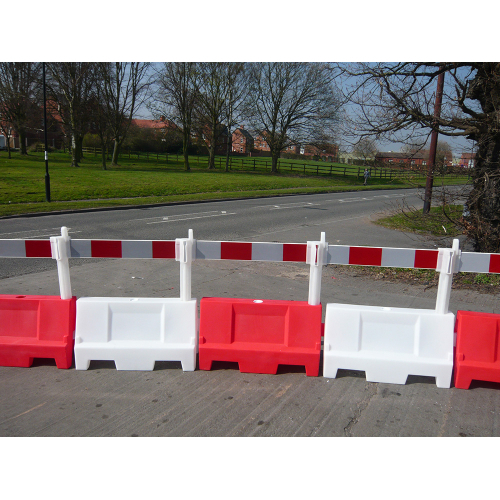 Each barrier can be supplied with a reflective post & plank or a mini mesh panel (at an additional cost). 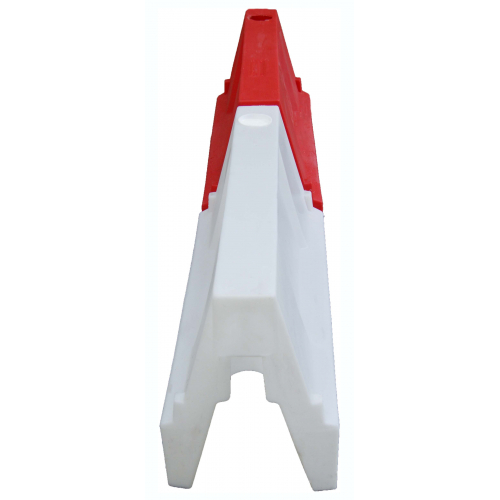 These can be used for additional pedestrian protection or security. To ensure extra safety, the Evo barriers have passed wind tests - x3 of the EVO barriers, filled with water to the fill line and with the mini mesh panel have withstood wind speeds of up 55mph.